The Union of Palestinian Radio and Television documented about 20 Israeli violations regarding the rights of Palestinian journalists and media staff working in Palestine this August. The Union stated, in the monthly report issued on Thursday, that Israeli forces detained six Palestinian journalists and two photojournalists, including Hazem Obaid, who works for Al-Quds TV. According to Al Ray, Obaid was detained while he was en route to travel via Al-Karama crossing. Authorities later extended his detention. The number of journalists, writers and media activists detained in the Israeli jails was up to19 prisoners, by this time, to include Nidal Abu Aker, the director of Bethlehem's Al-Wehda Radio and presenter of "In Their Cells" programs. Abu Aker has staged a continued hunger strike since August 20th, in protest against the administrative detention policy. Palestinians, this past month, have witnessed an escalation in the organized attack against Jerusalemite journalists during their coverage of the continued incursions of Al-Aqsa Mosque and the daily events in the city, in general. During Israel's latest military offensive on the Gaza Strip, 17 journalists were reported killed by Israeli forces. 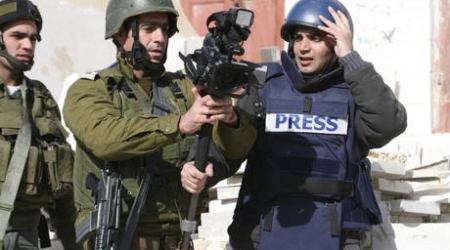 According to the Palestinian Center for Development and Media Freedoms (MADA), over 80 percent of Palestinian journalists were engaged in self-censorship by late October of 2014. In a dangerous precedent, Israeli police recently fined Palestine TV photojournalists and crew members of Russia Today TV, under the pretext of "obstruction" caused during their coverage to prevent the entry of worshipers to the Al-Aqsa Mosque from Al-Silsila gate. After the incident, a request was reportedly submitted to the Israeli police for the arrest of the Al-Tamimi family, who were accused of “assaulting” the soldier. A Palestinian official report has accused Israel of detaining 301 Palestinian children in its prisons with no regard to the international law, which protects their rights. The Palestinian ministry of information stated in its report that most of those children were taken prisoners between April and August of the current year, noting that 145 of them are from Jerusalem, 55 others from al-Khalil and nine from Gaza. 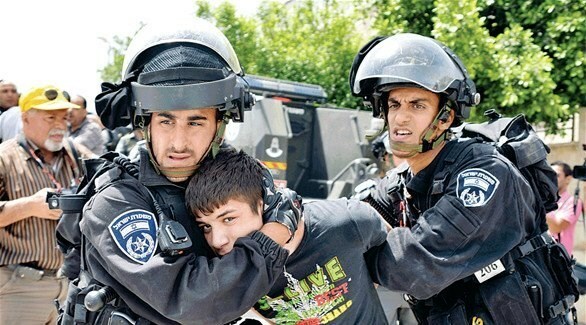 According to the report, those children are still in Israeli jails, suffering from very harsh incarceration conditions. 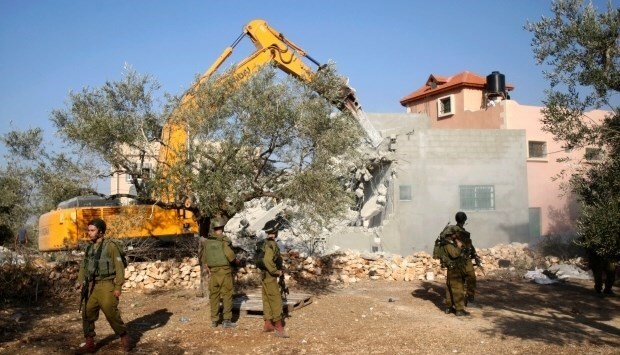 In the Context of Forced Displacement Policy in Area "C", Israeli Forces Demolish Residential Community Northeast of East Jerusalem Rendering 94 Palestinians, Including 69 Children, Homeless. In the context of a systematic policy to evacuate Area "C" in the West Bank for the interest of settlement projects, on Monday, 31 August 2015, Israeli forces demolished "al-Khdeirat" Bedouin community, northeast of occupied East Jerusalem near "Adam" settlement, rendering eleven Bedouin families homeless. According to investigations conducted by the Palestinian Centre for Human Rights (PCHR), at approximately 09:00 on Monday, 31 August 2015, Israeli forces, backed by military vehicles and accompanied by a force from the Construction and Organization Department in the Civil Administration and bulldozers, moved into al-Khdeirat Bedouin community near "Adam" settlement overlooking Mekhmas village and "Sha'er Benyamin" settlement, northeast of occupied East Jerusalem. The Israeli bulldozers demolished a number of residential and livestock barracks (16 residential barracks and 7 livestock barracks) leaving 94 persons, including 69 children, homeless. 11. A 30-square-meter residential barrack belonging to Abed Salam Mlaihat, whose family comprises of only 2 members. It should be noted that al-Khdairat Bedouin community consists of 50 families counting 500 persons, the majority of whom are children. This community was established 25 years ago. However, a year and a half ago, houses of some of the residents from the al-Hatheleen and al-Jahaleen families were demolished. The community lacks water and electricity networks and students from the community attend schools of Jaba' and al-Ram villages. PCHR condemns this crime committed by Israeli forces against the abovementioned community and believes that it is part of the forcible displacement policy applied in Area (C) that is under full Israeli control according to 1995 Oslo Accords between Israel and the Palestine Liberation Organization. This policy is applied for the interest of settlement expansion projects, especially in the Jordan Valley as the Israeli government declared its plans to keep it under their control in case of any final political agreement with the Palestinian National Authority. PCHR reminds the international community that Israeli forces violate the Fourth Geneva Convention 1949, especially article 33 which prohibits collective punishment, and article (147) which considers extensive destruction and appropriation of property, not justified by military necessity and carried out unlawfully and wantonly as a grave breach that mounts to a war crime according to article 85 of Additional Protocol 1. Moreover, these crimes violate article 11 of the International Covenant on Economic, Social and Cultural Rights which provides that "the states parties recognize the right of everyone to an adequate standard of living for himself and his family, including adequate food, clothing and housing". 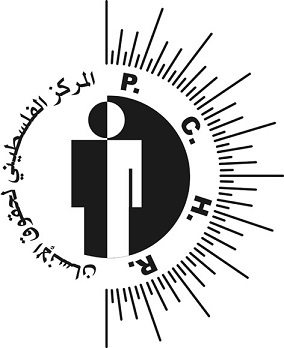 PCHR calls upon the international community to take immediate and effective action to stop the Israeli crimes and reiterates its call for the High Contracting Parties to the 1949 Fourth Geneva Convention to fulfill their obligations under Article 1; i.e., to respect and to ensure respect for the Convention in all circumstances, and their obligation under Article 146 to prosecute persons alleged to commit grave breaches of the Fourth Geneva Convention. The Islamic-Christian Commission in Support of Jerusalem and Holy Sites has issued the monthly report which documented the most prominent violations committed in Jerusalem by the Israeli occupation in August 2015. According to the report, 20-year-old Anas Montasser was shot dead by the Israeli occupation forces (IOF) close to Ofer military road barrier west of Ramallah under pretext of stabbing a Jewish settler in a petrol station on August 9, 2015. The report stated that al-Aqsa Mosque has been subjected to frequent break-ins by 639 Israeli settlers, 137 students at the Hebrew University, 72 intelligence agents, and 134 members of the Israeli government. 12,481 foreign tourists have also entered the holy Aqsa Mosque. 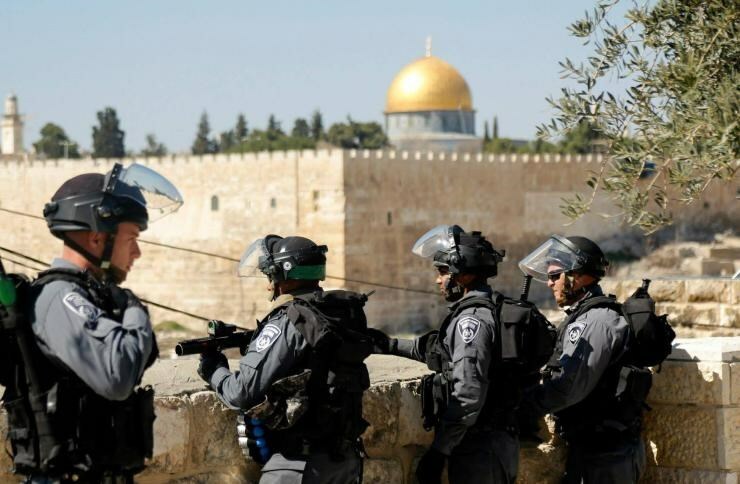 The IOF has arrested 49 Palestinian citizens from al-Aqsa Mosque courtyards and its gates and the Israeli police have issued deportation orders from the holy Mosque against 32 citizens and a citizen was deported from the Old Town. In a dangerous precedent, the Israeli police have banned the worshipers from staying inside al-Aqsa Mosque for more than half an hour; otherwise their IDs would be confiscated and transferred to the Israeli police in Jerusalem. It also imposed unprecedentedly tight restrictions on the worshipers' entry to their Mosque; men and women of all ages were prevented from entering the mosque at different times and for various periods, even the children were banned from participating in summer camps held in al-Aqsa Mosque by the Israeli policemen stationed at its gates. With the advent of the new academic year, the students of al-Ashrafiyya school -which is located inside the Mosque - were prevented from entering it and one of the female students was nabbed. The Israeli minister of internal security Gilad Erdan is seeking a bill, which if passed, would outlaw the male and female sit-inners inside al-Aqsa Mosque and would label them as a muslin terrorist organization. 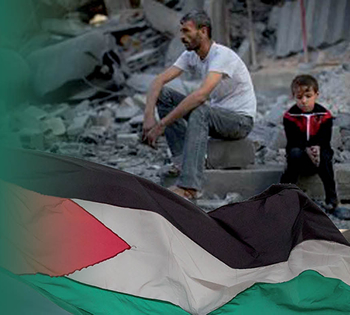 The report documented Israeli violations against a number of Islamic sanctities. It pointed out that at the end of August the Israeli municipality in Occupied Jerusalem held a wine festival in the historic Islamic cemetery of Mamanullah, west of Jerusalem. The Israeli Occupation Authorities (IOA) has converted two mosques in al-Nabi Dawood Castle into a Jewish synagogue and a tourist attraction as part of the Israeli schemes aimed at Judaizing the Old Town. The Israeli municipality has issued a demolition order against al-Qa'qa Mosque in Silwan under pretext of unlicensed construction, the report said. The report documented the arrest of 150 Jerusalemite citizens; 69 youths, 13 women, 59 minors, 5 minor girls, and 4 children who haven't completed 12 years of age. As for the settlement malicious schemes, the report drew attention to the comprehensive Judaization project in the Jewish neighborhood (Israeli reference to al-Magharba neighborhood) in the Old Town. 150 million shekels were allocated to carry out this project. The project includes establishing a hotel, an underground parking lot, two elevators that connect al-Sharaf neighborhood with the Jewish neighborhood and the Wailing Wall area (the Israeli reference to al-Buraq Wall), in addition to coffee shops and commercial and touristic centers. The so-called Israeli nature authority has misappropriated a 7-acre plot adjacent to Bab al-Rahma cemetery and the eastern wall of holy Aqsa Mosque and surrounded it with barbed wire. The IOA has approved a project to build a huge two-storey fortress in al-Buraq yard. The project will be funded by the so-called Jewish Fund to Maintain the Legacy of the Wailing Wall. The settlement organization Ateret Cohanim provided a plan aiming to issue licenses to construct a new settlement building near Beit Yonatan outpost which was established in 2004. Moreover, the Israeli municipality in Occupied Jerusalem will build a temporary park for five years. The park will be established over 1300 dunums of Palestinian lands located between al-Tour and al-Isaweiyeh towns in Occupied Jerusalem, according to the report. The Israeli government is still building hundreds of settlement units and residential buildings in many settlements in occupied Jerusalem, the report said. Hundreds of Bedouins have been forcibly displaced and relocated as part of the E1 settlement plan carried out by the Israeli government. The Israeli bulldozers have demolished a 3-storey commercial building owned by a Palestinian citizen, two Palestinian homes in Jabal al-Mukabir village south of Jerusalem, an under construction residential building, and six Palestinian-owned commercial facilities under counterfeit pretexts, the report charged. UN: Gaza could be 'uninhabitable' by 2020UNCTAD says 'social, health and security-related ramifications of the high population density and overcrowding,' as well as dire economic situation in the blockaded enclave could render it unlivable in just five more years. The Gaza Strip, ravaged by wars and nearly a decade of a gruelling Israeli blockade, could become uninhabitable for residents within just five years, the United Nations development agency said Tuesday. "The social, health and security-related ramifications of the high population density and overcrowding are among the factors that may render Gaza unliveable by 2020," the UN Conference on Trade and Development (UNCTAD) wrote in its annual report. Gaza, a tiny enclave of just 362 square kilometres (about 225 square miles) squeezed between Israel, Egypt and the Mediterranean Sea, that is home to some 1.8 million Palestinians, counts one of the highest population densities in the world. "Gaza could become uninhabitable by 2020 if current economic trends persist," the report said. While the high density is not new, the situation has been exacerbated by three Israeli military operations in the past six years and nearly a decade-long economic blockade. The blockade had "ravaged the already debilitated infrastructure of Gaza, shattered its productive base, left no time for meaningful reconstruction or economic recovery and impoverished the Palestinian population in Gaza," the report said. Socio-economic conditions in Gaza today are currently "at their lowest point since 1967," when Israel seized the territory from Egypt in its Six-Day War, according to the report. The report estimated that the three military operations, including last year's devastating war that killed some 2,200 Palestinians and displaced half a million more, had caused economic losses close to three times the size of Gaza's local gross domestic product. Even before last year's conflict, Gaza's electricity supply was not even enough to cover 40 percent of demand, UNCTAD said, adding that 95 percent of water from coastal aquifers - Gazans main source of freshwater - was considered unsafe to drink. Unemployment in Gaza meanwhile soared last year to 44 percent - the highest level on record - hitting young women especially hard, leaving more than eight out of 10 women out of work. A full 72 percent of all households in Gaza are meanwhile struggling with food insecurity, and the number of Palestinian refugees who rely entirely on food distribution from UN agency has ballooned from 72,000 in 2000 to 868,000 by last May. The report also detailed the devastating effect of the blockade imposed by Israel after Hamas militants captured an Israeli soldier in the summer of 2006 and tightened a year later after the Islamists forcibly ousted troops loyal to Palestinian president Mahmoud Abbas's Fatah. "It inflicted large-scale destruction on Gaza's local economy, productive assets and infrastructure, and affected numerous industrial, agricultural, commercial and residential facilities either directly or indirectly through debilitated infrastructure and acute shortages of inputs, water, electricity and fuel," it said. Exports had basically been completely banned, as imports of anything besides the most basic humanitarian goods had been blocked. The dire situation has left Gaza relying heavily on aid, but the report warned that while donor support would remain vital, it could not turn around the situation in the Strip alone. A new report by the UN Conference on Trade and Development (UNCTAD) found that under current conditions, the Gaza Strip, home to 1.8 million Palestinians, will become uninhabitable within the next five years. The report states that "The social, health and security-related ramifications of the high population density and overcrowding are among the factors that may render Gaza unliveable by 2020". The UNCTAD report, entitled "Assistance to the Palestinian people: Developments in the economy of the Occupied Palestinian Territory", was released today. The report examined the current conditions in the coastal strip, and found that Gaza could become uninhabitable by 2020 due to ongoing de-development, eight years of economic blockade and three military operations in the past six years. Last year's invasion by the Israeli military "ravaged the already debilitated infrastructure of Gaza, shattered its productive base, left no time for meaningful reconstruction or economic recovery and impoverished the Palestinian population in Gaza," the report said. The report also called for an end to the Israeli siege on Gaza, stating, "Short of ending the blockade, donor aid... will not reverse the ongoing de-development and impoverishment in Gaza." According to the UN Report, socio-economic conditions in Gaza today are currently "at their lowest point since 1967,"
In addition to the 500,000 people who have been displaced in Gaza as a result of the most recent military operation in 2014, the report estimates significant economic losses, including the destruction or severe damage of more than 20,000 Palestinian homes, 148 schools and 15 hospitals and 45 primary health-care centres. Four Palestinian citizens were killed and 348 others were detained by the Israeli occupation forces (IOF) during the past month of August, the Ahrar Center for Prisoner Studies and Human Rights documented. According to the report, four Palestinian citizens were shot dead by the IOF and 348 others were arrested. The Ahrar center identified the four casualties as 37-year-old Saad Mohamed Dawabsheh, who succumbed to the wounds sustained in an arson attack by Israeli settlers; 20-year-old Anas Montasser; Rafiq Taj, 21; and Mohamed Bassem al-Atrash, 22. 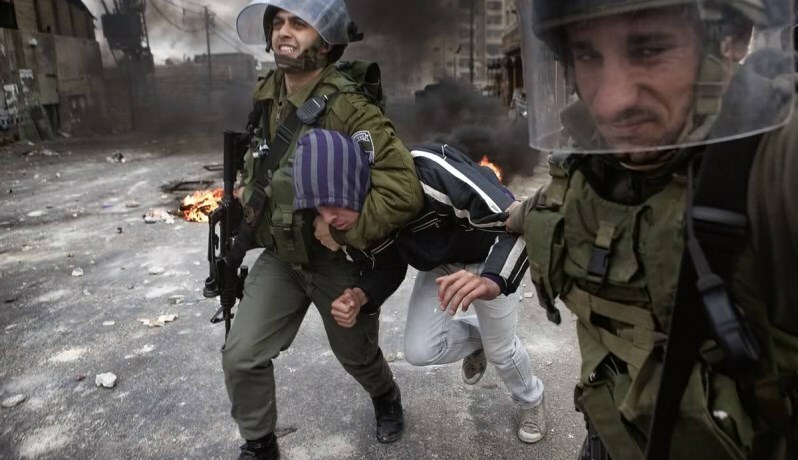 348 Palestinians were detained by the IOF across the West Bank, Occupied Jerusalem, and the blockaded Gaza Strip. Occupied Jerusalem hit a record high of 109 arrestees, followed by 253 in West Bank provinces, and four in the Gaza Strip. The report further documented an upsurge in Israeli attacks on Palestinian fishermen over the past few months. 22 women, including a journalist and Muslim sit-inners at al-Aqsa, were arrested during the month of August. At least 35 Palestinian minors were also arrested during the same period. Palestinians in the occupied West Bank are suffering from the rising Judaization and settlement schemes which expose the Israeli occupation and the settler gangs' malicious intent. These schemes don't only threaten the Palestinian citizens, but also their houses, their holy sites, and everything related to the Palestinians' lives. In this report, the PIC sheds light on the settlement file and the statistics of competent authorities and settlement experts who affirmed that the settlers and their extremist groups' crimes committed against the Palestinians, their properties, and sanctities have been steadily increasing. According to the latest statistics issued by the Popular Committee against Wall and Settlement, the settlement areas in the West Banl reached about 505 including settlements, settlement outposts, military outposts, services areas, and industrial and touristic sites, let alone the 93 houses which have been misappropriated partially or completely in Jerusalem. 16% of these settlement areas are in Jerusalem and Ramallah, 13% in al-Khalil and Jericho, and 12% are in Qalqilya. The Committee's statistics indicated that the settlers have escalated their assaults against the Palestinian citizens; in 2013 about 550 violations by Israeli settlers were reported, in 2014 the assaults were more than 760 while since the beginning of 2015 until end of August the assaults have reached 400. The committee also pointed out that in 2014 the settlers' assaults in the West Bank governorates reached about 887 cases. Nablus took the lion's share of these violations, followed by al-Khalil and Jerusalem. These violent attacks included beating up, running over, hurling stones, attacking Palestinian properties, kidnap attempts, shooting, breaking into houses, releasing gas and chemical materials, stabbing, burning homes, burning houses of worship, and even burning Palestinian citizens to death. Even the trees and the farms were not spared the settlers' assaults; they burn and cut trees, attack the farmers, prevent water from reaching the farms, and unleash dangerous animals in the Palestinian agricultural lands. The committee drew attention to the fact that over the past few years the settlers' assaults were limited to direct attacks against Palestinian citizens or against their trees and crops whereas today the systematic attacks, which are openly supported and protected by the Israeli army, extended to include the Palestinian lands, tress, houses, and mosques. For his part, Suhail Khaliliyya, from the Applied Research Institute-ARIJ in Bethlehem, pointed to the noticeable increase in the settlers’ number which coincides with a similar increase in the settlement construction during the recent years. According to the institute, the number of the settlement outposts has remarkably increased during the last years and the settlements have been expanded at the expense of the Palestinian lands. The institute reviewed aerial photos that show that the number of the settlement blocs has increased by about a million square meters compared to the years 2012 and 2014. 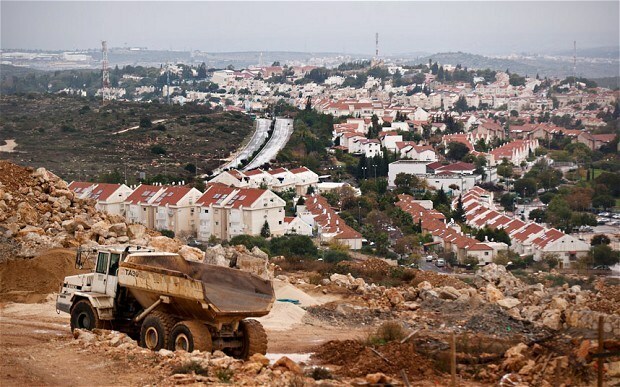 Khaliliyya affirmed that the Israeli occupation pursues a systematic policy to expand the settlement construction in an attempt to impose new facts on the ground and force the Palestinians to exchange their lands that are located in areas desired by the Israelis. The researcher stressed that the Israeli government supports the settlers' crimes, contrary to what it claims in the media, and clarified that when the Dawabsha family house was burned the Israeli army reached the scene very quickly which indicates that the army knew about the arson attack beforehand. 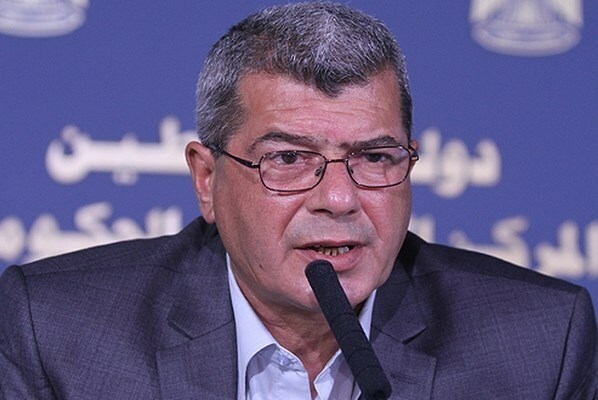 He warned that this will boost the settlers' persistence in carrying out these heinous systematic attacks especially that the Israeli parties always side with the settlers in their crimes against Palestinian innocent civilians. The researcher, however, affirmed that the settlers' indulgence in committing crimes against Palestinian citizens will never weaken the Palestinians' steadfastness and adherence to their land. The Palestinian Prisoner Center for Studies said that 94 Israeli administrative detention orders had been issued against Palestinians during the current month. Spokesman for the center Riyadh al-Ashqar stated in a report on Sunday that the Israeli occupation had issued 726 administrative prison orders against Palestinian detainees with no indictment or due process since the start of the current year, 2015. 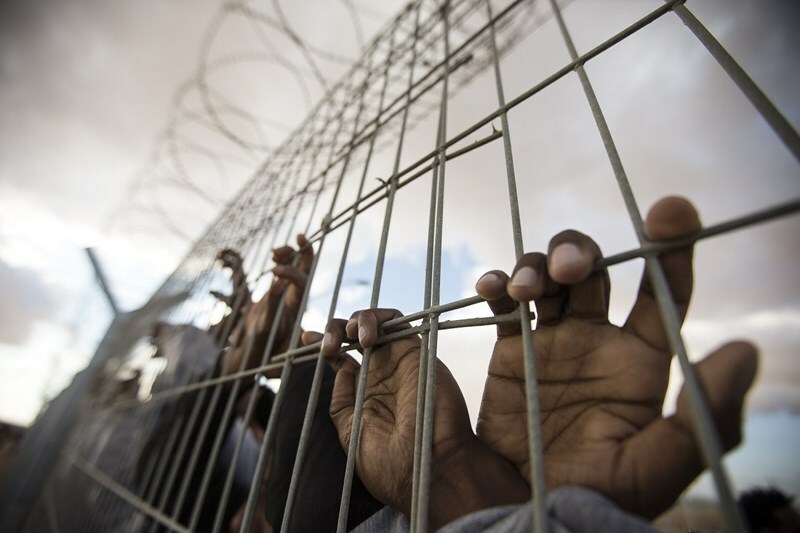 Ashqar stressed that the Israeli occupation persists in using the administrative detention policy as mass punishment against the Palestinians who are arrested from different West Bank areas, with no guilt. He appealed to the international community to break its silence and take action to end such arbitrary detention policy against the Palestinians. Issa Qaraqe, Head of Detainees Committee, revealed that sick prisoners in Israeli jails have mounted to 1,800. Qaraqe disclosed that 85 Palestinian prisoners are suffering serious health conditions due to chronic diseases in light of the Israeli policy of medical neglect practiced against detainees. “Sick prisoners in Israeli jails are facing slow death which points to the importance of probing the health condition of prisoners in Israeli lock-ups and studying treatment mechanisms”, Qaraqe said, in a statement on Saturday. He slammed the international silence towards the policy of medical negligence in Israeli jails. Qaraqe asked the international community to pressure Israel to abide by the international and humanitarian laws in order to oblige the Israeli Occupation Authority (IOA) to provide captives with required treatment. “We are very worried about the lives of some Palestinian sick detainees as the lives of 14 captives are at a real risk”, he said.